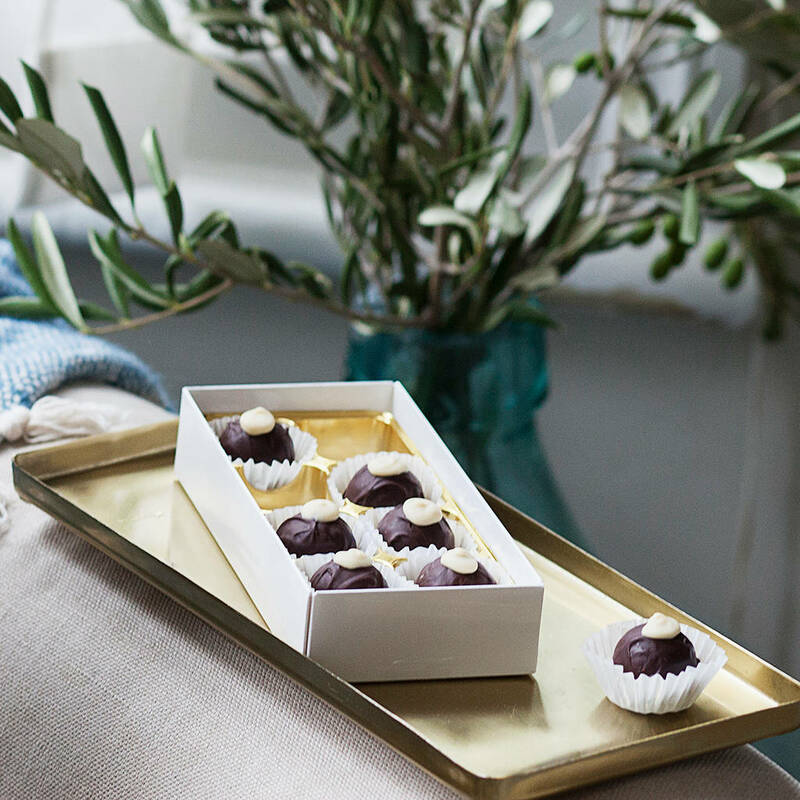 Rich and aromatic award winning chocolate truffles carefully blended with dark beer, handmade by our expert chocolatiers in London using the finest ingredients. 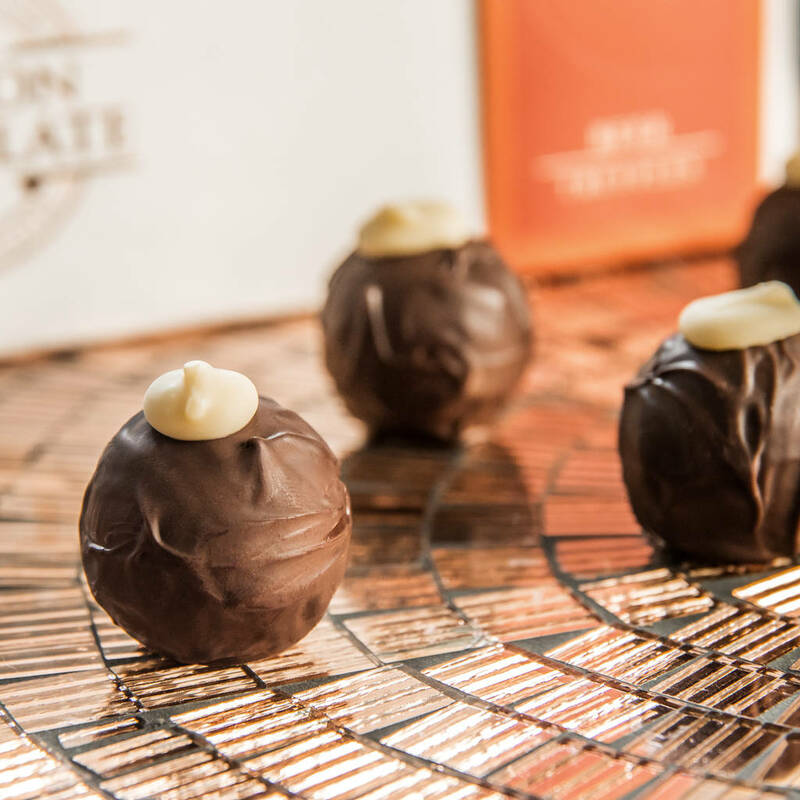 A truly unique chocolate experience - we use fine milk, white and dark chocolate blended with dark beer to produce these aromatic and rich award winning hand-made truffles. 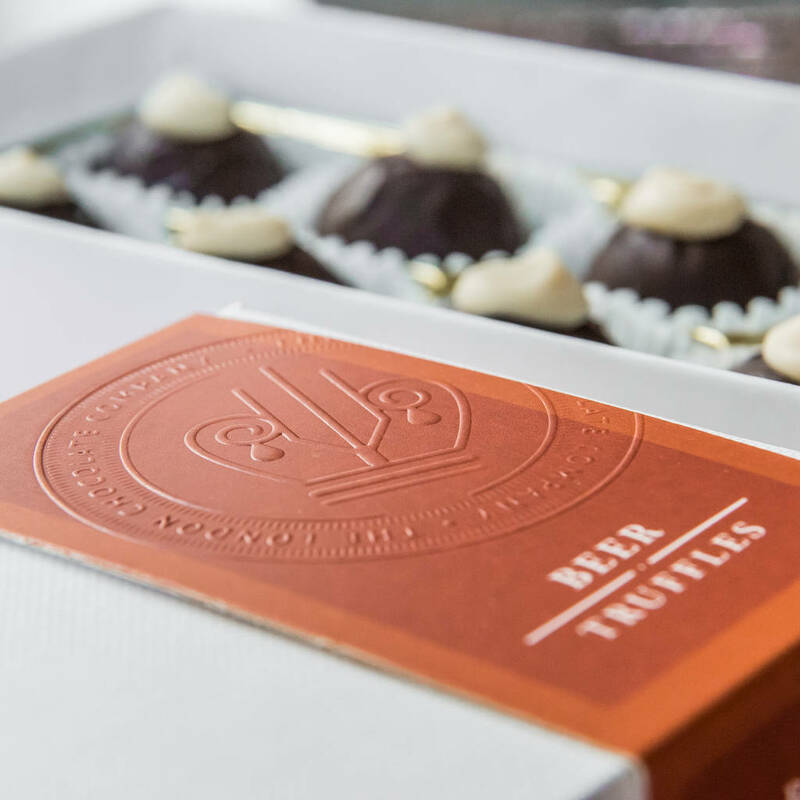 Perfect for someone that enjoys dark beers/stout or dark chocolates. 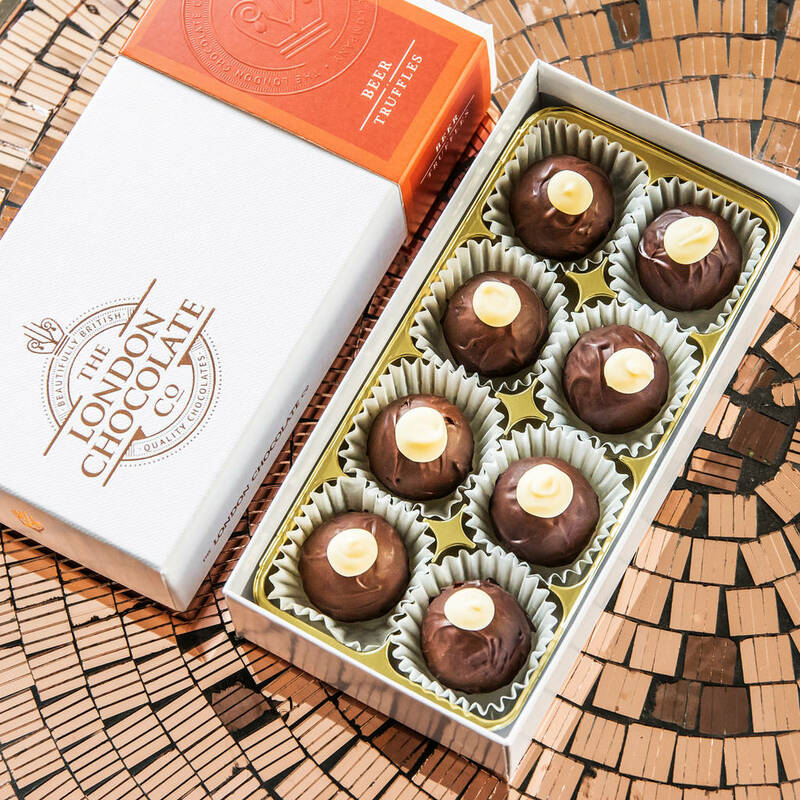 The chocolates are made in London by our team of expert chocolatiers who have been producing luxury chocolate for over 10 years. Ingredients: Dark chocolate (min. cocoa 60%),Milk chocolate (min cocoa 33.5%), White chocolate (min cocoa 29.5%) sugar, cocoa butter, whole milk powder, cocoa mass, emulsifier soya lecithin, whipping cream, glucose syrup, malt extract , Beer (water, wheat malt, barley malt, yeast, hop extract), stout natural flavouring. Contains: Soya, Milk, Gluten, Barley. May contain traces of nuts.